Adidas Men’s 3-Pack Mystery T-Shirts Just $20! Down From $90! FREE Shipping! 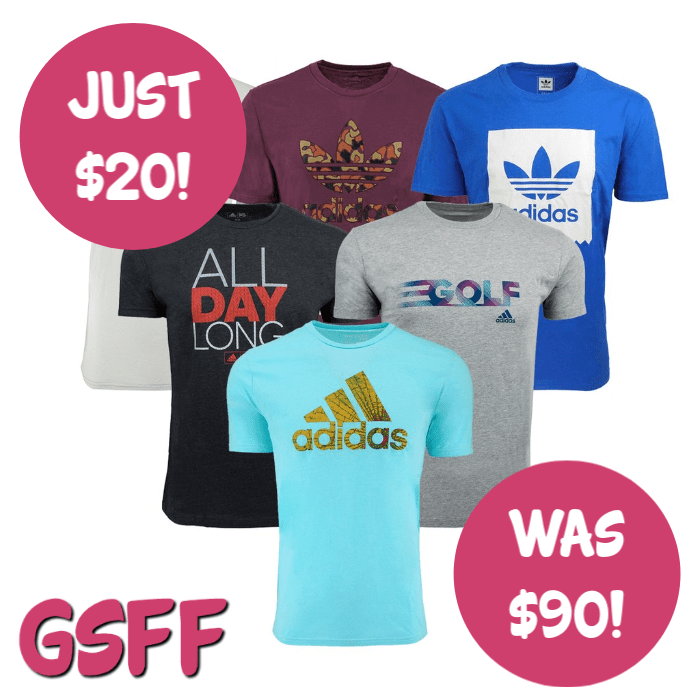 You are here: Home / Great Deals / Adidas Men’s 3-Pack Mystery T-Shirts Just $20! Down From $90! FREE Shipping! Head over to Proozy to get this Adidas Men’s 3-Pack Mystery T-Shirts for just $19.99, down from $90, after using the code PZY1999 upon checkout, PLUS FREE shipping! The Adidas Men’s 3-Pack Mystery T-Shirts is the highest quality shirts that Adidas has to offer! This 3-pack of assorted tees can be for yourself or you can get them as a gift for your family or friends! Each pack contains 3 new shirts. Get assorted colors, styles, and graphics. Made with 100% cotton single jersey. Short sleeves with ribbed crewneck.